For IT News Week 5 Mar 2016. Of all the "dangerous" answers selected (i.e., those leading to the loss of digital assets, identity, money, etc.) most were in response to situations where users had to identify a specific cyber threat. 76% of those surveyed were unable to distinguish a real web page from a fake (in Mexico the figure reached 82%). When faced with a similar threat on the Web, those users could end up entering their credentials on a phishing page designed to steal credentials. Cybercriminals use the data gathered from these fake sites to access accounts that are then used to distribute advertising, malicious files and links, as well as steal money and confidential data. Another 75% are careless about checking the format of files they are about to download. Instead of a music file, for example, they may download a potential virus, choosing ‘scr’ (screensaver – a common format for embedding viruses), an executable ‘exe’ file or a ‘zip’ archive with unknown content instead of a secure ‘wma’ file. Residents of the UK (85%) are the most likely to fall for this trick. HTC, the innovative smartphone company, has just globally unveiled their brand new flagship smartphone of the year, the brilliant HTC 10. 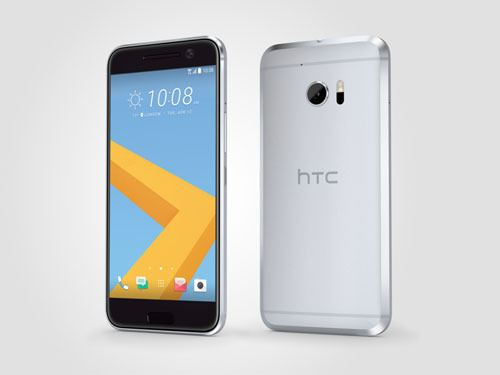 Embodying the spirit of innovation and class that customers have come to expect from HTC’s flagship phones, the HTC 10 is a culmination of HTC’s advanced research over the past year to craft a bold new smartphone experience. The Article 29 Working Party (the body that groups together the Data Protection Authorities of EU countries) has sent the European Commission (EC) back to the drawing board on the Privacy Shield, the agreement between the EU and the US on the transfer of personal data. Tech companies have eagerly awaited this agreement since the demise of Safe Harbor. Since the EC announced the key points of its deal with the US authorities, concerns have emerged about certain aspects, such as the many exceptions under which the bulk use of personal data could still be possible for US authorities. There are also concerns that the powers and independence of the ombudsperson, which should ensure that EU citizens have the ability to seek redress in cases of privacy breaches, are not clearly defined and guaranteed. The opinion of the Article 29 Working Party is not binding for the EC; however, it is unlikely that the EC will be able to ignore it. It represents the position of Data Protection Authorities of influential member states. Also, the EC should be worried about building a framework that is not too easily subjected to legal challenge. If the European Court of Justice finds that the flaws of Safe Harbor have not been addressed in the Privacy Shield agreement, it will not hesitate to strike the latter down too. Companies affected by this agreement should prepare to face more uncertainty, because the deal is likely to undergo further amendments before it is finalized. 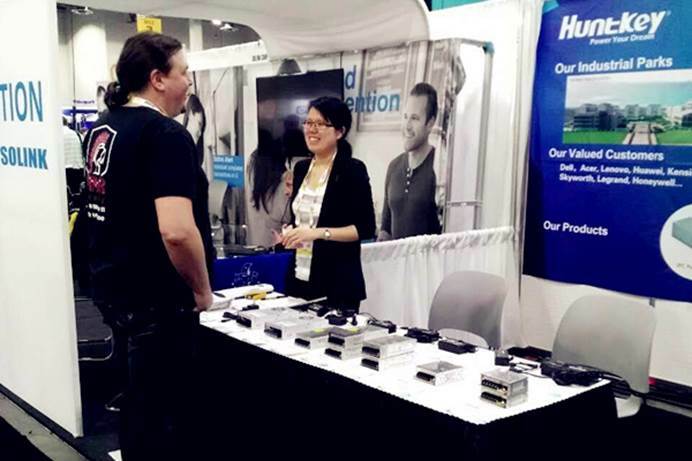 Huntkey Enterprise Group, a global leading provider of power solutions, attended ISC West 2016 at Sands Expo, Las Vegas, from April. 6 – 8. ISC WEST is the largest trade show in security industry in the USA. During the exhibition, Huntkey presented its latest industrial products and solutions, including the IPC series, the Industrial adapter with VI Energy Efficiency, and more. Huntkey also revealed the HS series and HDZ series, both of which are designed to work in ambient temperature between -20 to 60 degrees Celsius. Visitors to the booth were fascinated by Huntkey’s high efficiency products and customized solutions. As one of the global leading providers of power solutions, Huntkey provides industrial chargers from 12W up to 360W output for charging industrial equipment such as ATM machines, LED screens, multimedia and other industrial products. Cloudera, the global provider of the fastest, easiest, and most secure data management and analytics platform built on Apache Hadoop and the latest open source technologies, today announced the BASE (Big Analytics Skills Enablement) initiative – an industry-led ecosystem that is designed to groom a future workforce of data professionals. Check out the BASE infographic. ECS ICT Berhad has been appointed as the first ICT distributor to bring DJI’s best in class aerial drones and cameras to the Malaysian market. 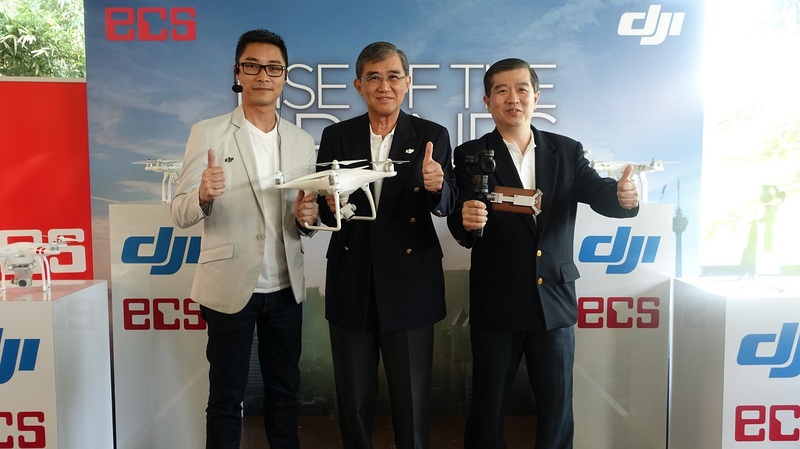 ECS’ wholly-owned subsidiary ECS Astar Sdn Bhd has distributed its DJI’s Phantom 4 drone across 30 touch points across Malaysia. DJI is the world leader in unmanned aerial vehicle (UAV) technology and accounts for 70% market share globally, according to a report published by Oppenheimer in February 2016. More recently, DJI launched the Phantom 4, the smartest consumer drone to date with first-in-market intelligent flight features such as Obstacle Avoidance, ActiveTrack and TapFly. 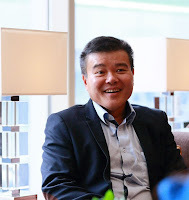 ECS’ Chief Executive Officer Soong Jan Hsung said that the target market for these drones expand beyond the general consumers and create new opportunities for businesses in construction, property development, surveying and mapping, agriculture, security and cinematography industries, amongst others. Meanwhile, the Osmo will spark creative possibilities for videographers, journalists, sports enthusiasts and anyone who aspires to become a content creator. Germany-based LSE Leading Security Experts GmbH, a holding of MAX21 Management und Beteiligungen AG, will expand its family of adaptive multi-factor authentication products during the second quarter of 2016. Among other updates, an offline authentication facility will be gradually integrated into the product suite. Unlike conventional OTP tokens, this new approach enables strong authentication even without a direct connection to the LSE LinOTP server. This cross-product feature will allow companies to provide mobile workers with a secure form of offline authentication. This is particularly relevant for employees who travel a lot, or who work abroad without a direct connection to the company’s network and thus the backend OTP server. Thunder Match Technology Sdn. Bhd. (TMT), Malaysia’s largest I.T. chain store, together with Intel and Microsoft, today introduced the STOM SPECTRUM i100 2-in-1 device along with the STOM PC Stick. The i100 takes advantage of powerful hardware and a versatile design to unlock new computing experiences, while the STOM PC Stick has the capability to transform large screens into full-sized computers when combined with the Wireless Air Mouse and Keyboard. The STOM SPECTRUM i100 2-in-1 device is a laptop and tablet. The STOM PC Stick is more like an extension cord with processor,memory card,network port and it also runs on Windows 10. The question is why do you need Windows 10 in the an extension cord ? The answer is because it has it needs to do computing processing such as networking, and to accomplish that, it requires a microchip and to get the microchip working, you need an O.S. In general cases, an electronic device would come with basic microchip and the O.S is usually called a firmware. In this case, the O.S is Windows 10 - terror !!! The stick is to be used as extension to the STOM SPECTRUM i100. Amadeus announces a deepening of its partnership with Singapore Airlines, with the airline signing up for the full suite of Amadeus Revenue Management solutions. This will provide the airline with the necessary platform to future-proof its revenue management capabilities, allowing the carrier to react more nimbly in the face of a rapidly evolving landscape. With this agreement, Singapore Airlines will adopt Amadeus Altéa Network Revenue Management, a next generation O&D based Revenue Management system designed with the future in mind, fully integrated with new merchandising practices such as dynamic pricing, fare families and ancillary sales. Drawing on data from multiple sources, it will provide faster, more accurate and intelligent recommendations on the best price and packaging of airline offers. Malaysia and the data industry is in the midst of a revolution – in which businesses are transforming themselves and entire industries are being reinvented in ways we could never have imagined. Amidst this revolution, Malaysia understands the importance of big data, and is cultivating and building up data science as a key component within the country. Microsoft’s vision of empowering every person and organization to achieve more is central in supporting the country’s push to build up data science. As part of that unique vision, Microsoft Malaysia launched SQL Server 2016 today - built to power the transformation of this revolution, with technology and capabilities borne from the disruptions happening in cloud, data and intelligence. True to this revolution, SQL Server 2016 comes with R - the most popular language with data scientists - built-in to help them solve the most challenging problems in fields ranging from computational biology to quantitative marketing. One such organization that has been taking advantage of SQL Server 2016 is MasterCard. The company wanted to design applications to help understand the returns from its customer programs and predict the actual broad impact of those programs over time. In order to do so, they needed to analyze volumes of disparate data, something that took both time and resources. By using SQL Server 2016 and its powerful analytical languages such as R, MasterCard was able to efficiently build the largest analytic model it has ever created - being five times bigger than the previous model - but completed in only less than one tenth the time. Growing customer demand for risk, fraud and customer intelligence analytics strongly influenced SAS’ revenue growth last year. 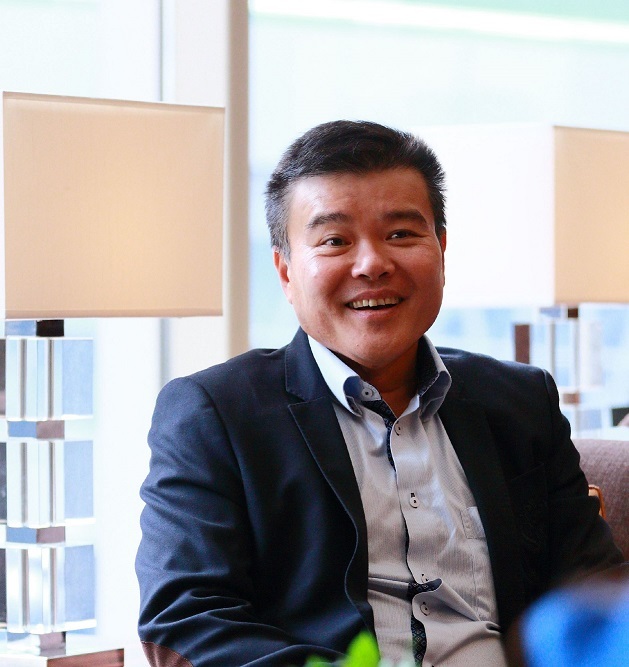 SAS Malaysia recorded a 32 percent growth in new software revenue in 2015 and a total operating revenue of RM73 million, with RM54 million revenue from software sales. Globally, SAS posted US$3.16 billion in total operating revenue, up 6.4 percent in constant currency (2.3 percent US dollars) over 2014. The top growth drivers of SAS Malaysia’s revenue last year came from new areas such as Capital Projection, Stress Testing and International Financial Reporting Standards (IFRS) for large financial institutions as well as Operation and Production Cost Optimization for the Oil and Gas sector. 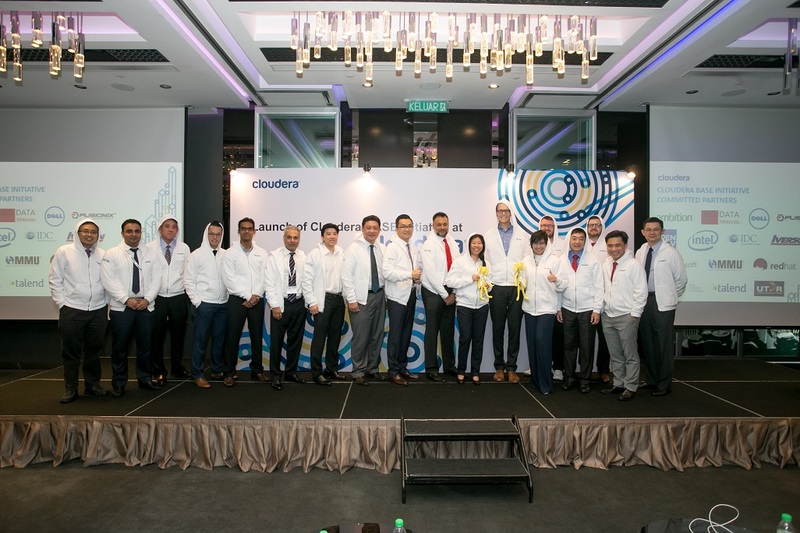 Cornerstone to SAS Malaysia’s uninterrupted revenue growth and profitability is the company’s workplace culture. SAS Malaysia was one of the companies from 250 nominations in the country to win a Best Companies to Work for in Asia Award 2015 organized by HR Asia and one of only two companies to have won this award for three years consecutively. Kaspersky Lab has unveiled new version Kaspersky Security for Windows Server application, which has been developed specifically for high performance corporate servers. The new Kaspersky Security for Windows Server provides cost-effective, reliable, scalable security for shared file storage, with minimal impact on resources. The solution’s Anti-Cryptor technology is designed to protect IT infrastructure from cryptomalware. As the complexity of corporate IT infrastructure increases, the need for reliable, multi-layered cybersecurity, which protects business servers, also grows. A comprehensive approach to security is becoming essential for businesses, as a single infected file anywhere in a corporate network can spread rapidly, causing untold damage across the whole network. Cryptomalware, for example, can infiltrate and encrypt an entire network - including its backups - within minutes. This can bring entire business operations to a halt and leave a business without the ability to restore its critical data. New data from Juniper Research has found that ridesharing services utilising freelance drivers, such as Uber and Lyft, are to increasingly see returns from their aggressive market strategies. Juniper’s latest research, Sharing Economy: Opportunities, Impacts & Disruptors 2016-2020, found that shared transport platforms, who typically take just 20% of driver earnings, will see revenues grow from an estimated $3.3 billion in 2015, to $6.5 billion by 2020. The report found that a combination of driver incentives, flexible working hours, and new business models will draw in more drivers for these companies. Tata Communications announces today a multi-million dollar deal with Air France-KLM to enable Europe’s second largest airline to enhance passenger experience with new technologies such as wearables, and to drive the company’s growth in emerging markets. Air France-KLM has partnered with Tata Communications to add next-generation connectivity to 170 sites globally. This superfast network will power the airline’s mission-critical systems for new aircraft, and provide the foundations for a more seamless travel experience to millions of passengers in the Middle East, Africa and Asia Pacific. In 2034 the journeys of 1.3 billion travellers are expected to touch China – 850 million more than today. India is expected to see 260 million more passengers. The next big growth hub is Africa: 8 of the 10 fastest growing airline markets are in Africa. Europe will act as key transfer hub to these emerging markets, with 1.4 billion passenger journeys in 2034 – nearly 600 million more than today. As budget airlines continue to put pressure on traditional players’ revenues, Tata Communications' emerging markets expertise and its global fibre network will help Air France-KLM grab its share of new revenue streams in these regions. United Overseas Bank (Malaysia) Bhd (UOB Malaysia) expects to facilitate greater foreign direct investment (FDI) into Penang as more of its corporate clients are attracted to the Malaysian state’s conducive business environment and well-established status as a global manufacturing and services hub. To help clients seize business opportunities in Penang, UOB Malaysia partnered government promotion agencies – MIDA and InvestPenang – to share insights on the state’s investment potential during a half-day forum held in Singapore on 30 March 2016. About 100 participants attended the event, which is part of the UOB FDI ASEAN Series that aims to help companies appreciate the different business environments in Southeast Asia. 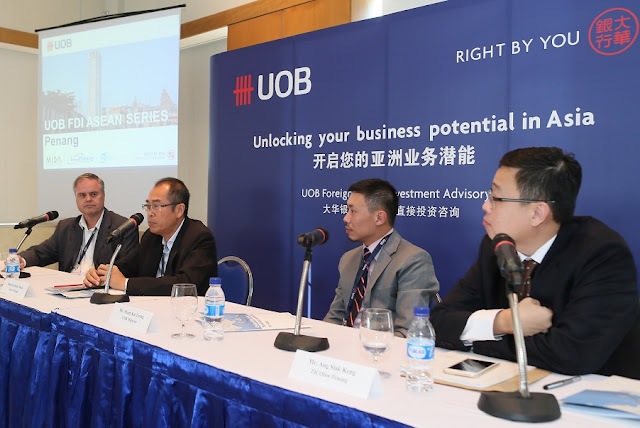 UOB Malaysia will hold its second investment forum in Kuala Lumpur later this year.